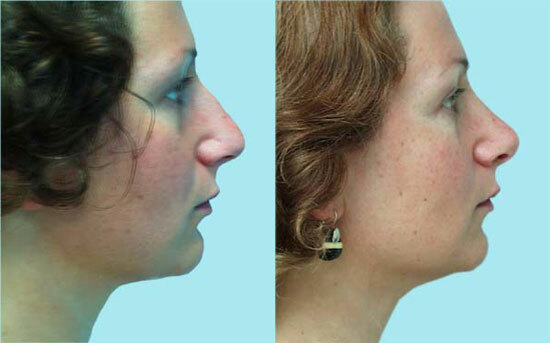 The definition of rhinoplasty is, literally, shaping the nose. The goal of rhinoplasty surgery is to improve the nose aesthetically, making it harmonize better with other facial features. 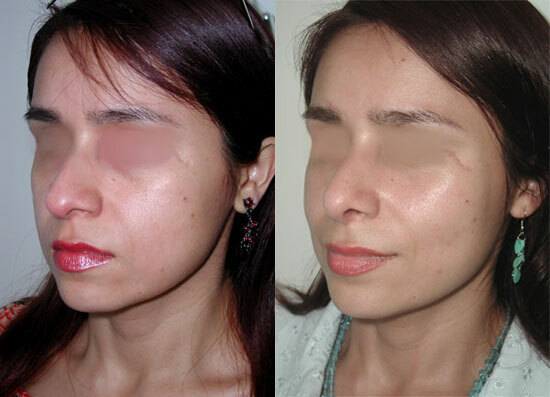 Skin type, ethnic background, and age are important factors to be considered prior to surgery. Nasal breathing is of paramount importance as improvements can also be achieved. Incisions are made on the inside of the nose so that Dr. Newman can manipulate bone, cartilage and soft tissues to provide a newly shaped structure. For example when the tip of the nose is too large, he can sculpt the cartilage in this area to reduce its size. 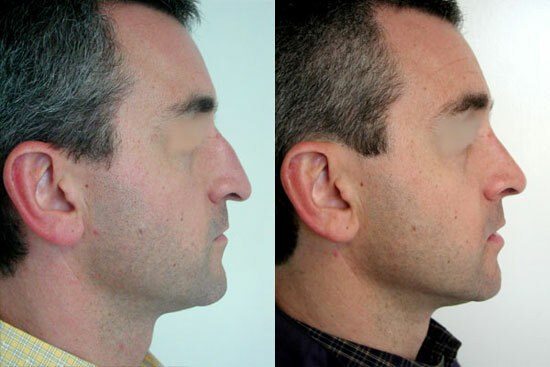 The angle of the nose in relation to the upper lip can be altered for a more youthful look or to correct a distortion. 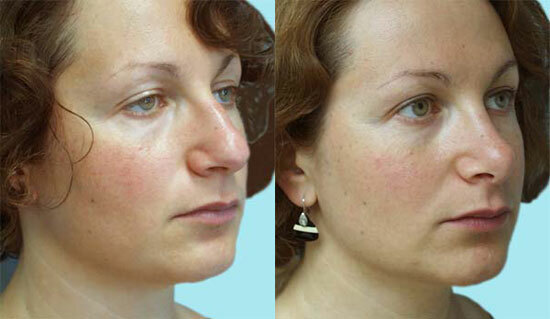 Likewise a hump or a bump on the top surface of the nose can be made smooth. In revision cases or those patients with extensive history of trauma to their nose, Dr. Newman may utilize and open approach, where a small incision is created along the columella of the nose. Dr. Newman is one of the few surgeons with the expertise to utilize both approaches and this is one of his most commonly performed procedures. After these structural changes are made, the skin is then re-draped over the new frame and the incisions are closed. A splint is applied to the outside of the nose to help retain the new shape while the nose heals. Swelling or puffiness will be noted immediately after surgery and pain medication may be required. Cold compressed often reduce the swelling and discomfort. The nasal splint is generally removed seven days after surgery. It is crucial that you follow our specific directions after surgery. Some activities will be restricted for two weeks after surgery. Ever wonder how you would look with a different nose? Use the AestheticLink program to upload a photo of your nose profile securely. Dr. Newman can perform a detailed computer imaging to show you possibilities and have you come in for a personal consultation. 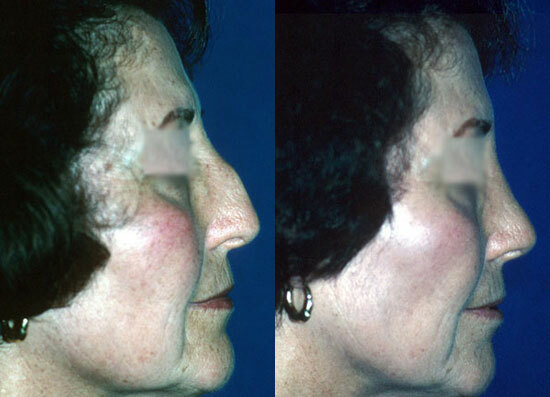 The following is a presentation to explain the rhinoplasty procedure, which describes how you can best prepare for your procedure, how it may be performed, and your recovery process along with before and after photos of some of our patients. An interesting question and answer section can also be viewed. This presentation is not intended to take the place of a physician’s consultation. Because the nose is the most defining characteristic of the face, a slight alteration can greatly improve one’s appearance. 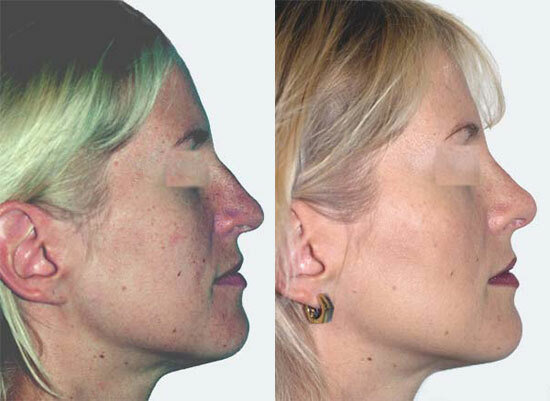 Many people seek nose surgery, also known as rhinoplasty, for a variety of reasons that include being unhappy with the nose they were born with, the way age has changed their nose, to improve breathing, or to change the way an injury has altered its appearance. 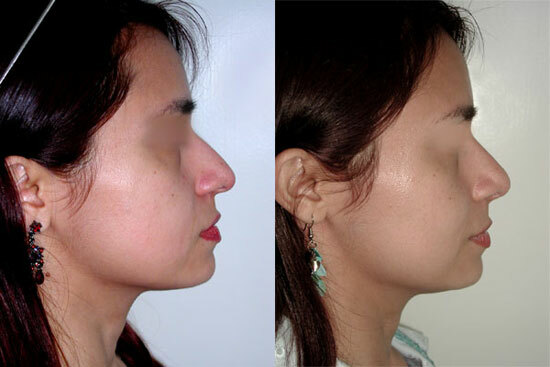 Not everyone will achieve the same results with rhinoplasty. However, your surgeon’s goal is to obtain the best possible results for you. The surgery takes between one to three hours, but many factors may prolong it. There are two methods. 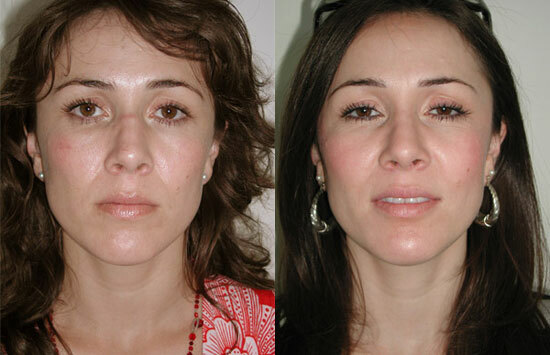 You and your surgeon will decide whether open or closed rhinoplasty will be best suited for you. The first incision is made at the base of the nose, between the two nostrils, while the other incisions will be made inside the nose. The skin is then lifted to allow the structure of the nose to be examined. 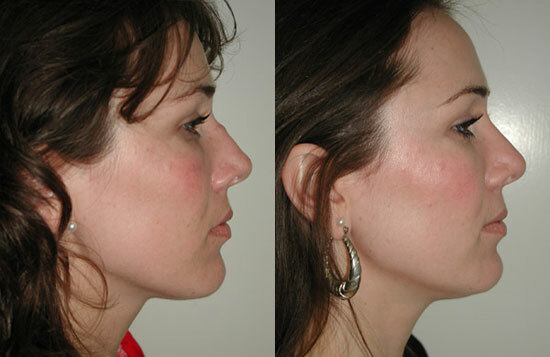 Then bone and cartilage are reduced and/or contoured to provide a new shape for your nose. The skin is finally re-draped over the newly shaped area and a splint is placed. If your nostrils are too wide, the surgeon can remove wedges of skin from the base to bring your nostrils closer together. Soft, absorbent material may be used inside the nose to maintain stability along the dividing wall of the air passages. If your nostrils were worked on, you may have nasal packs or soft plastic splints placed inside to stabilize the septum. Swelling can last longer with this method than the alternative closed procedure. In this procedure, all incisions are made inside the nose, thus reducing swelling and recovery time. Due to limited visibility, your surgeon may not be able to achieve some changes. After incisions are made, certain amounts of underlying bone and cartilage are reduced, added to, or contoured to provide a newly shaped structure. The skin is finally re-draped over the newly shaped area. Once the procedure is complete, a splint will be placed to help your nose keep its new shape. Soft, absorbent material may be used inside the nose to maintain stability along the dividing wall of the air passages. Your initial consultation is extremely important. Your surgeon will evaluate the balance and profile of your cheek structure and chin for aesthetic symmetry. You should be able to speak freely with your surgeon about your goals and your desired outcome. Be prepared to provide your complete medical history and inform the surgeon of any vitamins and medications (including over-the-counter) that you are taking. Make sure to tell your surgeon if you smoke, have uncontrolled high blood pressure, allergies, blood clotting problems, or tendency to form excessive scars because these problems can effect the outcome of your surgery. Do Not Take Aspirin® Or Products Containing Ibuprofen for two weeks before or after your procedure. These medications thin the blood, interfere with normal blood clotting and increase the risk of bleeding and bruising. Instead, use medications containing acetaminophen, such as Tylenol®. Stop Smoking for two weeks before and after surgery. Smoking constricts small blood vessels and inhibits the healing process. Avoid Alcohol for two weeks before and after surgery. Decreasing Salt intake will help diminish swelling after surgery. Drink Plenty Of Water to help flush toxins from your body. Stop Taking All Vitamins And Herbs two weeks prior to surgery. Fill Your Prescriptions before your surgery date, especially any pain medication your doctor has prescribed for this procedure. Arrange For Someone To Take You Home assist you 24 hours after surgery. Work: Most patients are back to work one week after surgery. Swelling And Brusing: Bruising generally improves after a week if your nasal bones are not repositioned. If they were repositioned, bruising may last at least two weeks. Bruising under the eyes is not uncommon after a procedure such as this. 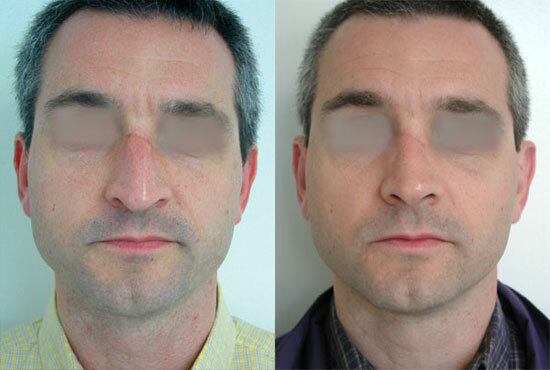 Swelling improves between a week and six weeks after closed rhinoplasty and a month to six months after open rhinoplasty. Sleeping with your head elevated for two weeks following surgery will help reduce swelling. Numbness on the tip of your nose may last several weeks and is to be expected. Bandages and splints may be removed after five to ten days. Stitches inside your nose do not need to be removed, but the ones outside your nose may be removed after four to seven days. If you have nasal packings, they may be removed after a few days. At the end of two weeks, all splints and stitches will be removed. Contact Lenses: You will be able to wear contact lenses when you feel you are ready. Patients who wear glasses will need to have them taped to the forehead or propped on their cheeks for about four to six weeks following surgery. Showering: You may shower after surgery as long as you keep your dressings dry. Make-up: You can wear make-up after a week or two. Bruises can be covered using common make-up techniques. Discomfort: Discomfort is moderate. Pain medication will be prescribed by your surgeon, however, if you begin to have severe pain, contact your surgeon immediately. Recovery: It may take several weeks to get back to your regular routine. Sports and other strenuous activity should not be performed several weeks after surgery. Be careful not to take part in any activity that may result in a blow to the nose for about four to six weeks. Airline travel is not recommended for the first few weeks after surgery. Don’t expose your nose to direct sunlight. 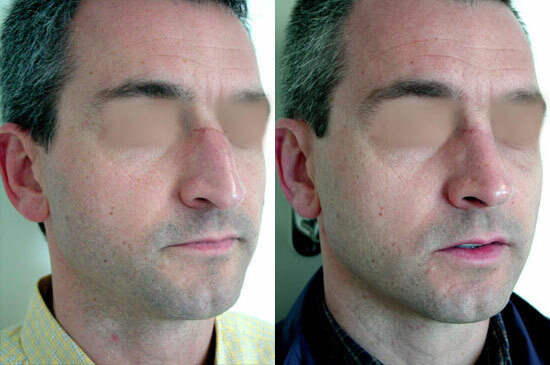 For open rhinoplasty, there will be a small permanent incision mark along the columella. Results: Final results can be seen as soon as three months to as long as two years. The majority of patients see results within six months. 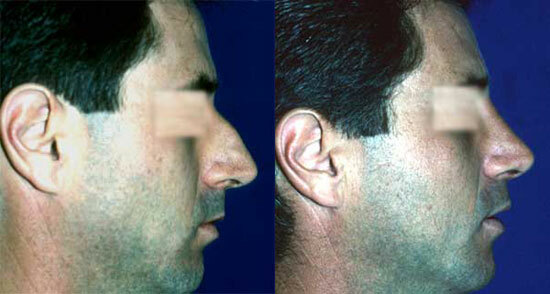 Rhinoplasty is a permanent cosmetic procedure, however, your nose’s appearance may change as you age.